Each of the following items have a main picture that when clicked give full size images These are all big pictures 500 K or 200 DPI scans (600 DPI available for researchers) please wait for them to load if a modem user. Collections of other peoples machines. Brown & Sharpe Manufacturing Co. of Providence, R.I. manufacturer of Fine Machinery, Tools of Precision; The Gordon & Maxwell Co. of Hamilton, Ohio manufacturer of Steam Driven Pumps and Water Works Machinery; The Yale & Towne Mfg. Co. of Stamford, Conn. manufacturer of Steam Driven Self-Propelled or Locomotive Cranes; Lodge, Davis & Co. of Cincinnati, Ohio manufacturer of Engine Lathes, Shapers & Drills; Gould & Eberhardt of Newark, New Jersey manufacturer of Shapers, Gear Cutters and other Special Machinery; E.E. Garvin & Co. of New York, NY. manufacturer of Machinists' Tools, Including Milling Machines, Hand Lathes, Drill Presses, ect. ; The Pratt & Whitney Co. of Hartford Connecticut manufacturer of Precision Machinist Tools and Special Machinery; The Billings & Spencer Co. of Hartford, CT. manufacturer of Lathe Dogs & other Drop Forgings; Warner & Swasey Machine Tools of Cleveland, Ohio manufacturer of Engine, Spinning Lathes and other Special Machinery; Pond Machine Tool Co.(Successors to David W. Pond) of Worcester, Mass. manufacturer of Engine Lathes, Radial Drills, Planers, ect. ; Geo. W. Fifield of Lowell, Mass. manufacturer of Engine Lathes; Hartford Steam Boiler Inspection & Insurance Co. of Hartford, Conn.; Geo. B. Grant of Boston, Mass. maker of Gear Wheels and Gear Cutting; W.P. Davis of Bloomfield, NY. manufacturer of Key Seating Machines & Drills; The G. A. Gray Co. of Cincinnati, O. manufacturer of 17" & 20" Lathes; Pratt & Letchworth Proprietors of Buffalo Steel Foundry of Buffalo, N.Y. offering Steel Castings; Stiles & Parker Press Co. of Middletown, Conn. manufacturer of Punching Presses, Dies, Drop Hammers, Drop Forgings and other Tools for the Manufacture of all kinds of Sheet Metal Goods; J.M. Carpenter of Pawtucket, R.I. manufacturer of Taps & Dies; WM Sellers & Co., Inc. of Philadelphia, PA. manufacturer of High Speed Power Traveling Cranes; The Long & Allstatter Co. of Hamilton, Ohio manufacturer of Double, Single, Angle-bar, Gang, Horizontal, Twin, Boiler, Spacing, Gate, Multiple, Belt and Steam-Driven Punches & Shears also Power Cushioned Hammers; Russell & Co. of Massillon, Ohio builders of Automatic Engines, Boiler . Brown & Sharpe Manufacturing Co.of Providence, R.I. manufacturer of Fine Machinery, Tools of Precision; The Gordon & Maxwell Co. of Hamilton, Ohio manufacturer of Steam Driven Pumps and Water Works Machinery; The Yale & Towne Mfg. Co. of Stamford, Conn. manufacturer of Steam Driven Self-Propelled or Locomotive Cranes; Lodge, Davis & Co. of Cincinnati, Ohio manufacturer of Engine Lathes, Shapers & Drills; Gould & Eberhardt of Newark, New Jersey manufacturer of Shapers, Gear Cutters and other Special Machinery; E.E. Garvin & Co. of New York, NY. manufacturer of Machinists' Tools, Including Milling Machines, Hand Lathes, Drill Presses, ect. ; The Pratt & Whitney Co. of Hartford Connecticut manufacturer of Precision Machinist Tools and Special Machinery; The Billings & Spencer Co. of Hartford, CT. manufacturer of Lathe Dogs & other Drop Forgings; Warner & Swasey Machine Tools of Cleveland, Ohio manufacturer of Engine, Spinning Lathes and other Special Machinery; Pond Machine Tool Co.(Successors to David W. Pond) of Worcester, Mass. manufacturer of Engine Lathes, Radial Drills, Planers, ect. ; Geo. W. Fifield of Lowell, Mass. manufacturer of Engine Lathes; Hartford Steam Boiler Inspection & Insurance Co. of Hartford, Conn.; Geo. B. Grant of Boston, Mass. maker of Gear Wheels and Gear Cutting; W.P. Davis of Bloomfield, NY. manufacturer of Key Seating Machines & Drills; The G. A. Gray Co. of Cincinnati, O. manufacturer of 17" & 20" Lathes; Pratt & Letchworth Proprietors of Buffalo Steel Foundry of Buffalo, N.Y. offering Steel Castings; Stiles & Parker Press Co. of Middletown, Conn. manufacturer of Punching Presses, Dies, Drop Hammers, Drop Forgings and other Tools for the Manufacture of all kinds of Sheet Metal Goods; J.M. Carpenter of Pawtucket, R.I. manufacturer of Taps & Dies; WM Sellers & Co., Inc. of Philadelphia, PA. manufacturer of High Speed Power Traveling Cranes; The Long & Allstatter Co. of Hamilton, Ohio manufacturer of Double, Single, Angle-bar, Gang, Horizontal, Twin, Boiler, Spacing, Gate, Multiple, Belt and Steam-Driven Punches & Shears also Power Cushioned Hammers; Russell & Co. of Massillon, Ohio builders of Automatic Engines, Boilers, ect. (Complete Power Plants Furnished); J.E. Lonergan & Co. of Philadelphia, PA. manufacturer of Patent Oilers; R.A. Beldon Co. of Danbury, Conn. manufacturer of Power Hammers; Castle Engine Works of Indianapolis, Ind. manufacturer of The Castle Steam Engine; The Muller Machine Tool Co. of Cincinnati, O. manufacturer of 17" Engine Lathes; H. Bickford of Lake Village, N.H. manufacturer of Boring & Turning Mills; L.S. Starrett of Athol, Mass. manufacturer of Fine Machinist Tools; Osgood Dredge Co. of Albany, New York manufacturer of Dredges, Excavators, Ditching Machines, Derricks, ect. ; The Newark Machine Tool Works of Newark, N.J. manufacturer of Planners, Lathes, Slotters, Boring Machines, Presses, ect. ; Bement, Miles & Co. of Philadelphia, PA. builders of Metal-Working Machine Tools for Railroad Shops, Locomotive & Car Builders, Machine Shops, Rolling Mills, Steam Forges, Ship Yards, Boiler Shops, Bridge Works, ect. ; Detrick & Harvey Manufacturers of Baltimore, Md. manufacturer of Corliss Engines; Chester Steel Castings Co. of Chester, PA.; The Phosphor Bronze Smelting Co., Limited of Philadelphia, Pa. Original Manufacturers of Phosphor Bronze & Owners of the U.S. Patent; Tallman & McFadden of Philadelphia, Pa. manufacturer of Milling Machines, Planners, Drills, ect. ; The John T. Noye Mfg. Co. of Buffalo, N.Y. manufacturer of Rice Automatic Cut-Off Engines (Gold Medal Winner Cincinnati Exposition, 1884); Shipman Engine Co. of Boston, Mass. 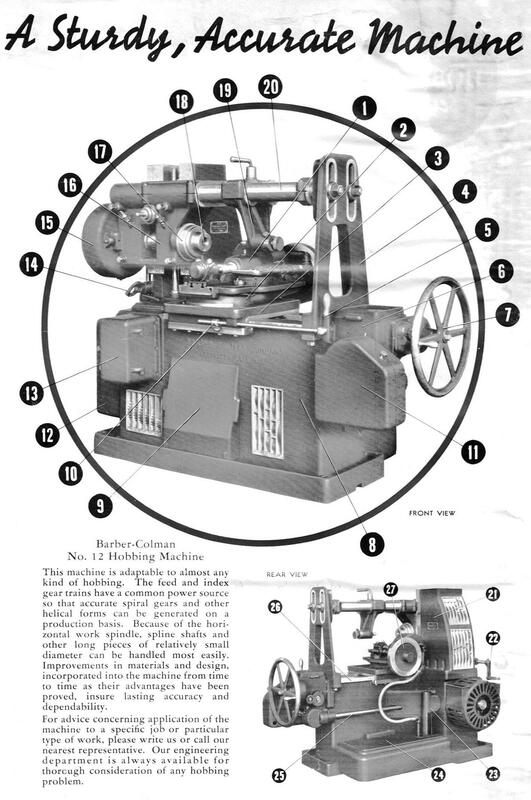 manufacturer of Oil Engines for Printers, Steam Yachts, pumping water, sawing wood, ect; The Skinner Engine Co. of Erie, PA. manufacturer of Portable & Stationary Engines & Boilers; Korting Gas Engine Co., LD. of New York, N.Y. manufacturer of Korting Gas Engines; William Tod & Co. of Youngstown, Ohio manufacturer of Porter-Hamilton Engines; S.L. Holt & Co. of Boston, Mass offering Portable & Stationary Steam Engines & Boilers, Steam Power Drainage Pumps, Saw Mills, Shafting, Pulleys, Hangers and Belting; Kensington Engine Works, Limited of Philadelphia< Pa. manufacturer of the Tangye Buckeye Automatic Cut-Off Engines; Albany Steam Trap Co. of Albany, NY manufacturer of Blessing's Water Circulator & Purifier; Frick Company Builders of Waynesboro, Pa. manufacturer of Eclipse Corliss Engines; The "Otto" gas Engine Works - Schleicher, Schumm & Co. of Philadelphia, PA. & Chicago, Ill. manufacturer of Otto Gas Engines; The Armstrong Mfg. Co. of Bridgeport, Conn manufacturer of Water, Gas & Steam Fitters' Tools; James Brandon Co. of New York, N.Y. manufacturer of Brandon's Piston Ring Packing; E.P. Bullard of New York, NY manufacturer of Machine Tools; The Watts, Campbell Co. of Newark, NJ manufacturer of Improved Corliss Steam Engines; The Hewes & Phillips Iron Works of Newark, N.J. manufacturer of Improved Corliss Engines, Tubular Boilers; The Fishkill Landing Machine Co. of New York, New York manufacturer of The Improved Fishkill Corliss Engines; Robert Whitehill of Newburgh, NY manufacturer of the Improved Corliss Engine, Slide Valve Engines, Stationary Boilers, General Machinery and Brass & Iron Castings; Stearns M'F'G. Company of Erie, Pa. manufacturer of Engines, Boilers, Saw Mills and General Machinery; John McLaren of Hoboken, N.J. builder of Corliss Engines, Air Compressors and Boilers; Hill, Clarke & Co. of Boston, Mass. sellers of Iron-Working Machinery; Adams & Richards Machine Co. of New Brunswick, N.J. manufacturer of Fuel, Crude Petroleum or Kerosene Engines; The Babcock & Wilcox Co. of New York, NY manufacturer of Water-Tube Boilers; Bridgeport Boiler Works of Bridgeport, Conn. manufacturer of The Lowe Boiler; WM T. Bate & Son of Conshohocken, Penn. sole manufacturer of the Bate Steam Generator; The Wainwright M'F'G. Company of Boston, Mass. manufacturer of Corrugated Tube Exhaust Feed-Water Heaters; Fossil Meal Co. of New York manufacturer of Meal Composition Non-Conducting Covering for Steam Pipe & Boilers; Gesswein Machine Co. of New York manufacturer of Positive Pressure or Blast Blowers; Palmer, Cunningham & Co., L'd. of Philadelphia, Penn. manufacturer of Tools for Mechanics including Chucks, Drills, Reamers, Screw-Plates, Railroad Supplies, ect. ; Evansville Spar Mining Co. of Evansville, Ind. Producers of Flour Spar Foundry Flux; Universal Radial Drill Co. of Cincinnati, O. manufacturer of Radial Drilling Machines; Hilles & Jones of Wilmington, Del. manufacturer of Horizontal Flange Punches; Jenkins Bros. of New York manufacturer of The Original Unvulcanized Packing; Westcott Chuck Co. of Oneida, N.Y. manufacturer of Lathe & Drill Chucks; Pond Engineering Co. of St. Louis, MO. 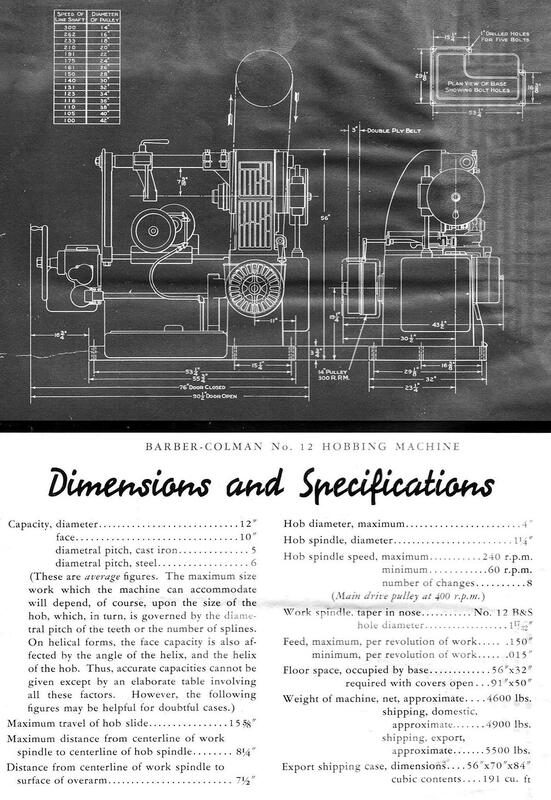 manufacturer of Steam Boilers; The E. Horton & Son Co. of Windsor Locks, Conn. manufacturer of the Horton Lathe Chuck; Watson & Stillman of New York manufacturer of Hydrostatic Machinery, Presses, Pumps, Punches, Accumulators, Jacks, Valves, Fittings, Vault Elevators, ect. ; Hoggson & Pettis M'F'G. Co. of New Haven, CT. manufacturer of The Sweetland Chuck; T.R. Almond of Brooklyn, N.Y. manufacturer of the Almond Drill Chuck; Worcester Machine Screw Co. of Worcestor, Mass. manufacturer of Set, Cap & Machine Screws, Studs, ect. ; The Cushman Chuck Co. of Hartford, Conn. manufacturer of "Cushman" Chucks; Coffin & Leighton of Syracuse, N.Y. manufacturer of Machinists' Scales; Sterling Emery Wheel Co. of West Sterling, Mass. manufacturer of the Sterling Patent Emery Wheel; Standard Tool Co. of Athol, Mass. manufacturer of Fine Machinists' Tools; Buffalo Forge Co. of Buffalo, N.Y. manufacturer of Buffalo Cupola & Forge Blowers; I.P. Richards of Providence, R.I. manufacturer of Punches and Dies; The National Pipe Bending Co. of New Haven, Conn. offering Coils & Bends of Iron, Brass and Copper; John S. leng of New York manufacturer of Weldless Cold Drawn Steel Tubes & Quick Opening Gate Valves; Pedrick & Ayer of Philadephia, Pa. manufacturer of Cylinder Boring & Facing Machines; Morse Twist Drill and Machine Company of New Bedford, Mass. manufacturer of Solid & Shell Reamers, Beach's Patent Self-Centering Chuck, Bit Stock Drills, Drill Grinding Machines, Mill Cutters and Special Tools; Simonds Rolling-Machine Co. of Fitchburg, Mass. manufacturer of Steel Balls for Anti-Friction Bearings; VanDuzen & Tift of Cincinnati, Ohio makers of Complete Steam Pumps; Rollstone Machine Co. of Fitchburg, Mass. manufacturer of Wood - Working Machinery for Chair, Furniture & Cabinet Factories, Box Shops, Planing Mills, Pattern Makers' Use, ect. ; S. Elliot of Newton, Mass. manufacturer of Drill Presses, Tap Drill Guages & Special Machinery Tools; F.E. 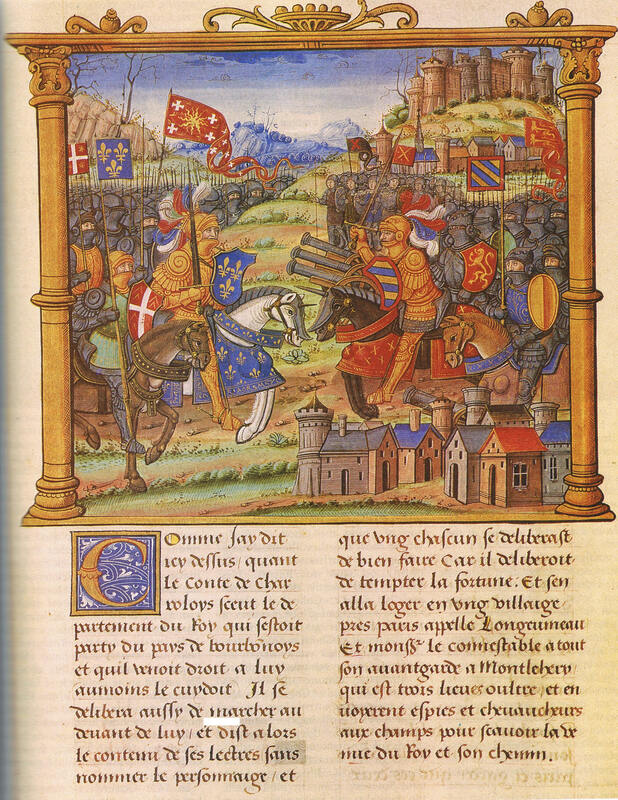 Reed of Worcestor, Mass. manufacturer of Engine Lathes, Hand Lathes, Foot Lathes, Upright Drills & Milling Machines; S. Ashton Hand Mfg. Co. of Toughkenamon, Pa. manufacturer of Engine Lathes; Boynton & Plummer of Worcestor, Mass. manufacturer of Shaping Machines for Hand & Power; Bickford Drill Co. of Cincinnati, O. manufacturer of Upright Drills; Springfield Glue & Emery Wheel Co. of Springfield, Mass. manufacturer of Emery & Curundum Wheels, Emery Wheel machinery and Flint Papers; Pancoast & Maule of Phil., Pa. makers of Improved Steam Glue Heaters; Jos. Dixon Crucible Co. of Jersey City, N.J. manufacturer of Dixon's Silica Graphite Boiler-Front & Smoke Stack Paint; New Haven Manf'g Co. of new Haven, Conn. manufacturer of Iron-Working Machinery; L.W. Pond Machine Co. of Worcestor, Mas. manufacturer of Iron Working Machinery; J. Wyke & Co. of E.Boston, Mass. manufacturer of Fine Machinists' Tools; Cary & Moen of New York City manufacturer of Steel Wire & Springs; William Barker & Co. of Cincinnati, O. manufacturer of Iron & brass Working Machinery; Toledo Machine & Tool Co. of Toledo, Ohio manufacturer of Presses, Dies & Special Machinery; D. Sounders' Sons of Yonkers, N.Y. manufacturer of Steam & Gas Fitters hand Tools; Acme Machinery Co. of Cleveland, O. manufacturer of "ACME" Single & Double Automatic Boltcutters; Stow Manfg. Co. of Binghampton, N.Y. manufacturer of Flexible Shafts, Reaming Machines, Portable Drills & flexible Boring Machines; John Steptoe & Co. of Cin., Ohio manufacturer of Engine Lathes, Iron Planers, Shapers & Drills; The Hoppes Mfg. Co. of Springfield, O. manufacturer of Live Steam Feed-Water Heater & Lime Extractors; Energy MFG. Co. of Phil., Pa. manufacturer of Drill Guides & Steady Rests; Eagle Anvil Works of Trenton, N.J. manufacturer of the Fisher Double Screw Leg Vise & the Eagle Anvil; Charles Murray of New York Engraver of Wood; S.W. Goodyear of Waterbury, CT. manufacturer of Machinery for Reducing & Pointing Wire; The Laidlaw & Dunn Co. of Cin., Ohio manufacturer of Pumping Machinery; Chas. A. Strelinger & Co. of Detroit, Mich. manufacturer of Fine Tools; Powell Planer Co. of Worcester, Mass. manufacturer of Iron Planers; P. Blaisdell & Co. of Worcester, Mass. manufacturer of Machinists' Tools; Curtis & Curtis (Successors to Forbes & Curtis) of Bridgeport, Ct. manufacturer of the Forbes Pat. Die Stock, Pipe Cutting & Threading Machinery; Brehmer Bros. of Phil., PA. manufacturer of Bevel Gears; The Mason Regulator Co. of Boston manufacturer of Reducing Valves; Niagara Stamping of Buffalo, N.Y. makers of Presses, Dies and Special Machinery; Consolidated Machine & Tool Works of Hastings, mich. & Chicago, Ill. manufacturer of Presses, Dies and Canning Machinery; Bradley & Co. of Syracuse, N.Y. manufacturer of Cushioned Hammers, Heating Forges, ect. ; The Deane Steam Pump Co. of Holyoke, Mass. manufacturer of Water Works Engines & Steam Pumping Machinery; The Hendey Machine Co. of Torrington, Conn. manufacturer of Lathes; Miller, Metcalf & Parkin, Crescent Steel Works of Pittsburgh, PA. suppliers of Die Steel in Bars or Blocks; Tower & Lyon (Successors to Melvin Stephens) of New York manufacturer of Stephens Vises; Sebatian, May & Co. of Cin., O. manufacturer of Foot & Power Lathes, Drill Presses, Shapers, Band, Circular & Scroll Saws, Tools & Supplies; John W. Hudson- Madison Manufacturing Co. of Madison, Wis.; Guild & Garrison of Brooklyn, N.Y. manufacturer of Steam, Vacuum and Filter Press Pumps & Air Compressors; Montgomery & Co. of New York manufacturer of Tools, Supp;ies & Machinery; W.C. Young & Co. of Worcester, Mass. manufacturer of Engine, Hand & Foot Lathes; Chas. F. baker of Minneapolis, Minn. manufacturer of Common Sense Oil Filters; Thos. H. Dallett & Co. of Phila., Pa. manufacturer of Patent Portable, Hand, Boiler-Shell & Multiple Drills; The Tanite Company of Stroudsburg, PA. manufacturer of Tanite Emery Wheels & grinding Machines; Cooke & Co. of New York manf'r. of The Binghampton Water Motor; U. Baird Machinery Co. of Pittsburgh, Pa. manuf'r of Machinists', Pattern Makers' & Boiler Makers' Tools and Supplies; John Wiley & Sons of N.Y. Publishers of Industrial and Scientific Works; Beecher & Peck of New Haven, Ct. manufacturer of Peck's Pat. Drop Press & Drop Forgings of Iron & Steel; Muller Machine Tool Co. of Cincinnati, O. manuf'r of Engine Lathes, Planers, Shapers & Drill Presses; Betts Machine Company of Wilmington, Del. 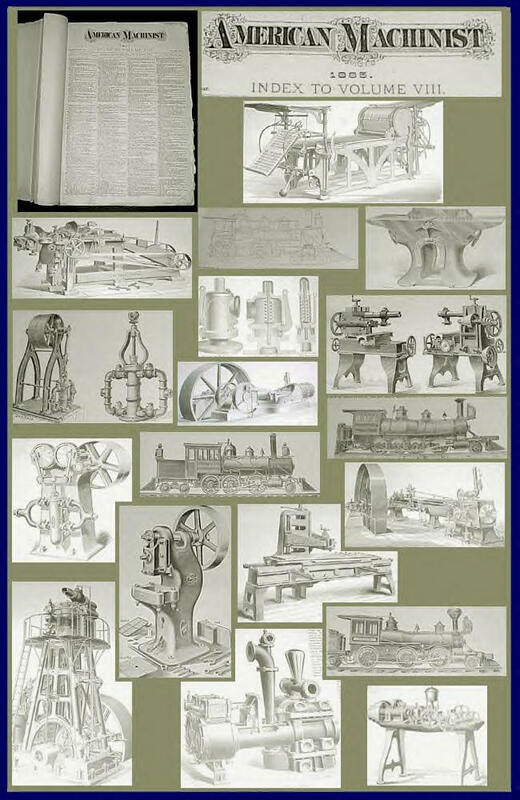 Builder of Drills & Metal Working Machine Tools; Knowles Steam Pump Works of N.Y. & Boston manf'r of Improved Pumping Machinery; Niagar Machine & Tool Works of Buffalo New York builders of Presses, Shears & other Special Mach. ; Chas. Parker Co. of Meriden, Ct. manufacturer of Guns, Gun Parts, Vises, Tools, ect. ; J.H. Williams & Co. of Brooklyn, N.Y. makers of Wrenches, Tools and other Quality Drop Forgings; Gage Machine Works of Waterford, N.Y. Manuf'r of Fox Turret & speed Lathes and Brass Finishers' Tools; E.W. Bliss Co. of Brooklyn, New York World's Largest Manufacter of Presses, Dies, Shears, Mills,Canning Equipment and other Special Tools; Nicholson File Co. of Providence, R.I. manuf'r of Files & Rasps; Nathan Manufacturing Co. of New York manuf'r of "Gresham" Patent Automatic Re-Starting Injector; Cleveland Twist Drill Co. of Cleveland, O. manuf'r of Drills & Reamers; National Pulley Covering Co. of Baltimore, Md. manuf'r of Friction Pulley Covers; Fitchburg Machine Works of Fitchburg, Mass. manuf'r of Metal Working Machines; Henry Carey Baird & Co. of Phil., Pa. Industial Publishers, Booksellers & Importers; Volney W. Mason & Co. of Providence, R.I. manuf'r of Friction Pulleys, Clutches & Elevators; P.H. & F.M. Roots of Connersville, Ind. manuf'r of Force Blast Rotary Blowers for Foundries, Smith Shops, Pneumatic Tubes, Ventilation, ect. ; Beaudry & Co.(formerly of Beaudry's Upright Power Hammer) of Boston, mass. manuf'r of Presses, Shears, Punches & Hard Coal Heating Forges; C.F. Richardson of Athol, Mass. manuf'r of Nickel Plated Pocket Levels; Henderson Bros. of Waterbury, CT. manuf'r of Exhaust Tumbling Barrels; C.W. LeCount of South Norwalk, Conn. manuf'r of Lathe Dogs & other Drop Forgings; Park Mfg. Co. of Boston manuf'r of Injectors, Ejectors & Jet Apparatus; T. Shriver & Co.'s Iron Foundry of N.Y.; The Volker & Felthousen M'F'G. Co. of Buffalo, N.Y. manuf'r of Steam Pumps; Pulsometer Steam Pump Co. of N.Y. manuf'r of Steam Pumps; Hall Steam Pump Co. of N.Y. builders of Steam Pumps; Jas. Hunter & son of North Adams, Mass. manuf'r of Clutch Pulleys & Cutt-Off Couplings; Union Stone Co. of Boston manuf'r of Emery Wheels, Grinding Mach., Polishing & Plating Goods and Tools; Edwards Meeks of Phil. - Publisher; Gage Tool Co. of Vineland, N.J. manuf'r of Planes & Hand Tools; Henry R. Worthington of N.Y. manuf'r of Independent Condensers; Niles Tool Works of Hamilton, Ohio manuf'r of Machine Tools; Buckeye Engine Co. of Salem, Ohio manuf'r of engines; The Garvin Machine Co. of N.Y. manuf'r of Machines & Machine Tools; Manning, Maxwell & Moore of N.Y. manuf'r of Railway and Machinists' Tools & Supplies; Lexington Gear Works of Lex., Mass. makers of Gears; M.C. Bullock of Chicago, Ill. manuf'r of Bullock-Corliss Engines, Diamond Drills for Prospecting, Band Friction Hoists & Mining Mach. ; The Lane & Bodley Co. of Cin., Ohio manuf'r of Corliss Engines; G.S. Woolman of New York manuf'r of Drawing Instuments; The D. Frisbie Co. of N.Y. manuf'r of Frisbie Friction Pulleys & Clutches; The Ball & Wood Co. of Elizabeth, N.J. manuf'r of Ball Automatic Cut-Off Engines; Lackawanna Lubricating Co. of Scranton, PA. manuf'r of Grease Cups; The De Lamater Iron Works of N.Y. manuf'r of General Machinery; Henry Warden Manufacturer of Phil., PA. manuf'r of Atkinson Cycle Gas Engines; The Hilles & Jones Co. of Wilmington, Del. manuf'r of Machine Tools; Bement, Miles & Co. of Phil., Pa. manuf'r of Metal-Working Mach. Tools; William Sellers & Co. of Phil., Pa. manuf'r of Machine Tolls for Working Iron & Steel; The New Process Raw Hide Co. of Syracuse, N.Y manuf'r of Raw Hide Gears; Southwark Foundry & Machine Co. of Phil., Penn. manuf'r of Boileers, Steam Hammers, Blowing & Reversing Engines, Centrifugal Pumps, Steam Pumps & Heavy Castings; The Norton & Jones Machine Tool Works of Plainville, Conn. manuf'r of Machine Tools & Special machinery; The Champion Blower & Forge Co. of Lancaster, Pa.; J.D. wright & Sons of Brooklyn, N.Y.; The Cincinnati Milling Machine Co. of Cincinnati, O.; N.P. Bowsher of South Bend, Ind. ; J.E. snyder of Worcester, Mass. ; Edison General Electric Company; American Gas Furnace Co. of N.Y.; Landis Bros. of Waynesboro, Pa.; Trump Bros. Machine Co. of Wilmington, Delaware; R.D. Nuttall & Co. of Allegheny, PA.; Giant Key-Seater Co. of East Saginaw, Mich.; Light Drill Presses of Hartford, Conn.; J.E. Lonergan & Co. of Phila., Pa.; Harrison Safety Boiler Works of Phil., Pa.; T.M. Foote Regulator Co. of Boston; Adriance Machine Works of Brooklyn, N.Y. manuf'r of Gang Slitters, Automatic Screw Machines and Double Seamers; Samuel C. Rogers & Co. of Buffalo; Alfred Box & Co. of Phila., Pa.; Van Duzen Gas & Gasoline Engine Co. of Cincinnati, O.; Capitol Mfg. Co. of Chicago; M.T. Davidson of Brooklyn, N.Y.; The States Machine Co. of Newark, N.J.; L. & R. Wister & Co. of Phila., PA.; John Royle & Sons of Paterson, N.J.; Penberthy Injector Co. of Detroit, Mich.; A.J. Wilkinson & Co. of Boston; William Jessop & Sons, L'd. of Sheffield, England; Crescent Steel Co. of pittsburgh, Pa.; .